This special issue investigates the intersections among Latinx, Chicanx, ethnic, and hemispheric American Studies, mapping the history of Latinx and Latin American literary and cultural production as it has circulated through the United States and the Americas. The issue comprises original archival research on Latinx print culture, modernismo, and land grabs, as well as short position pieces on the relevance of “Latinx” both as a term and as a field category for historical scholarship, representational politics, and critical intervention. Taken as a whole, the issue interrogates how Latinx literary, cultural, and scholarly productions circulate across the Americas in the same ways as the lives and bodies of Latinx peoples have moved, migrated, or mobilized throughout history. 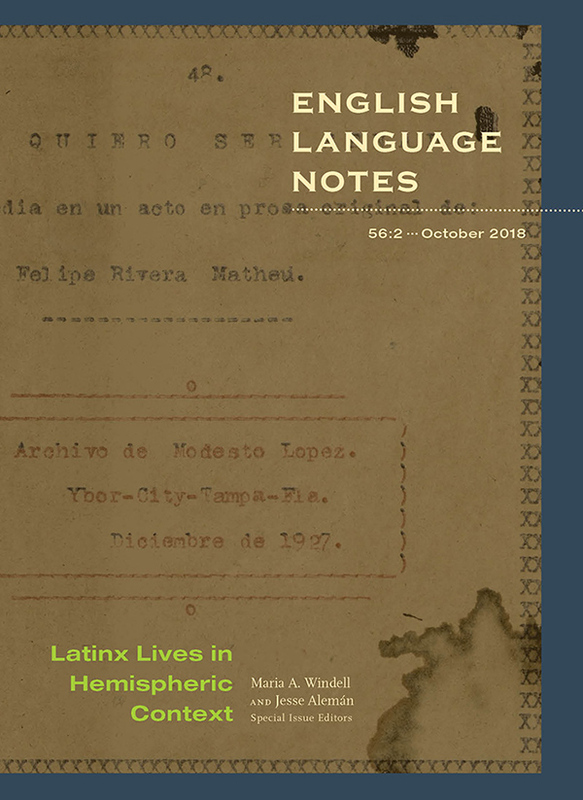 View the table of contents for English Language Notes 56:2, "Latinx Lives in Hemispheric Context," at the journal's online site.